Ynet reported today on two ‘Palestinians Return’ marches due to take place later this March and in May. The Israelis are in a state of panic and for good reason. "The Great March of Return": is an initiative in Gaza for a mass march toward the Israeli border. A new initiative in Gaza is gaining momentum and is beginning to worry the Israeli defense establishment. The campaign is called the "Great March of Return," during which they expect large crowds to march from Gaza toward the Israeli border to mark the right of the Palestinian refugees to return to their land. The marches are scheduled to take place on the anniversaries of two significant days: March 30, Land Day and May 15, Nakba Day. On the later date, the opening ceremony of the American embassy in Jerusalem is due to take place. In the days before Land Day, the organizers plan to set up tens to hundreds of tents near the border to show the refugee existence. This move will also be highly visible and is expected to maximise participation. Once these tent camps are positioned, young Palestinians and organized groups will move in until the marches take place. In previous years we have seen mass marches heading toward the borders on Nakba Day, but the difference this time may be due to the difficult conditions in the Gaza Strip which have intensified in the last year and caused serious unrest. During rising internal protests within the Strip, Hamas tends to let the demonstrators vent their anger hoping that the sword won’t turn over [on Hamas]. Hamas has announced that it supports the March. Twice last week, Hamas leader Ismail Haniyeh made clear their support for the campaign. "We will not be able to stop the tens of thousands of citizens who set out north and east to protest the siege imposed on the Gaza Strip," he said, calling on the Palestinians to participate in the March. Haniyeh's statement was aimed primarily at Israel and other countries in the region. His intended to threaten them with the possible ramifications of such marches - it could get out of control and spark violent confrontations or even a mass attempt to cross the border towards Israel. In any case, Hamas made it clear that it will not stop the demonstrators from reaching the Israeli border. One of the organizers' plans is to organize a display using the uniform of Jewish inmates in the Nazi camps during the Holocaust to compare that to the situation in the Gaza Strip. Gaza residents who could provide such clothes were asked to contact the organizers. The messages conveyed by the organizers through social networks actually allude to violence, such as posting pictures of demonstrators heading to the border and trying to cross it. 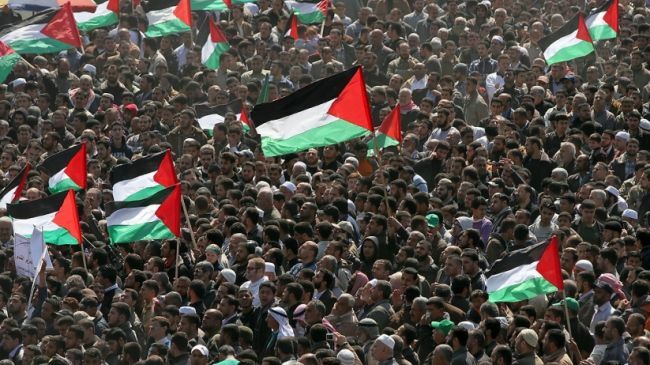 The march is widely covered by the Palestinian media as well as by popular Arab media such as Al-Jazeera and Al-Sharq Al-Awsat, which naturally increases its public resonance as the date approaches.